It's sometimes not realized that Joni Mitchell was a hugely influential force on young women singer/songwriters in the early '70s, sometimes to the point where the influence, and even imitation, was fairly obvious. 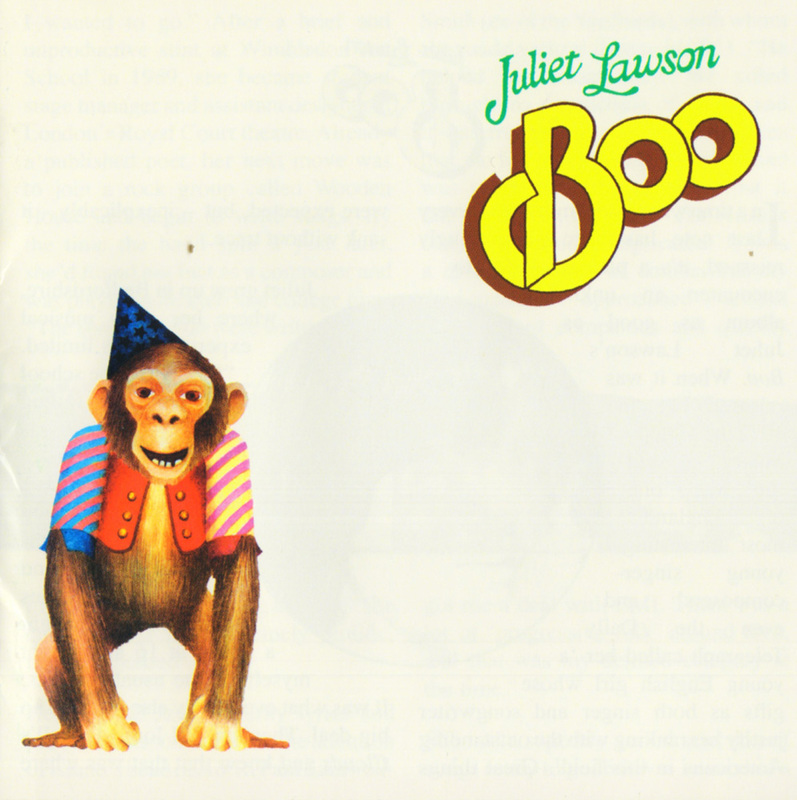 You hear a lot of early Mitchell on British singer/songwriter Juliet Lawson's obscure 1972 album Boo. Recorded with the help of some guys from British folk-rock band Trees (producer David Costa and bassist Bias Boshell) and saxophonist Lol Coxhill, it sold a few thousand copies and got some positive press in the U.K. when it was released, but sank into obscurity after its first pressing sold out. 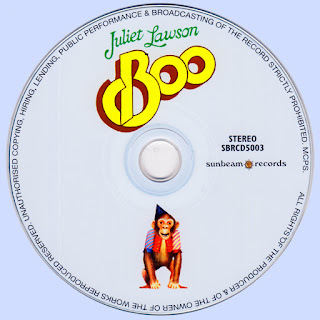 You might hear some Carole King on some of the more mainstream cuts here as well, though Lawson's not as good a singer or composer as either King or Mitchell. It's better than some other rare albums bearing these imprints, however, with some lyrical eccentricity (particularly on the unfathomable "Who Is India?") and oddly structured tunes. Yet it's hard to get past the inevitable unfavorable comparisons.